...or it MAY be bye bye birdie for the Thrashers. "But don't plan the parade in Winnipeg just yet." Anaheim Ducks - Disney CEO Michael Eisner named the team after the hit Disney movie "The Mighty Ducks". Boston Bruins - Businessman Charles Adams wanted his new franchise to have brown and yellow team colors to match his stores as well as a name equated with strength and power. A fan named the team in a contest. Buffalo Sabres - The management held a contest and chose Sabres. Team officials wanted a fresh new name not being used in the pros, and something other than buffalo/bison variations. Calgary Flames - Given to the team when it was in Atlanta to commemorate the burning of the city in the Civil War. When the team moved to Calgary, management held a contest/vote, and the fans chose to keep the Flames name, which also relates to Alberta's petroleum industry. California Golden Seals - The "Seals" nickname came from San Francisco's Western Hockey League (W.H.L.) entry, the rights to which were purchased by expansion Seal's owner Barry Van Gerbig, a 28-year-old former Princeton Tiger netminder, and backup goalie on the 1960 U.S. Olympic team. Chicago Blackhawks - Original owner Frederic McLaughlin named the team in honor of the Black Hawk Battalion he served with in WWI. The unit was named after a Chief Black Hawk. The name was merged to Blackhawks several years ago. Colorado Avalanche - COMSAT (?) gave Colorado fans a list of eight names to choose from and let the public respond. Avalanche was the most popular nickname among fans. According to team officials, an avalanche is "a beautiful, powerful act of nature that is indigenous to the mountain region." Their logo features a dominating letter "A" that stands like a mountain, representing Colorado's Rocky Mountains. An avalanche on a puck whips around the solid "A." Dallas Stars - Dallas is in Texas, the Lone STAR state. Also, when the team was in Minnesota, hockey fans chose the Minnesota state motto "Etoile du Nord" (Star of the North). Detroit Red Wings - Then team president James Norris named it in honor of a team he had played with - the Montreal Winged Wheelers. The logo was perfect for the Motor City. Edmonton Oilers - The management held a contest and chose Oilers, reflecting the importance of the oil industry. They kept the name when it moved from the World Hockey Association (WHA) to the National Hockey League. Florida Panthers - H. Wayne Huizenaga wanted to draw attention to the Panther, an endangered native wildcat of Florida. Hartford Whalers - When originally in the WHA, club was named New England Whalers for two reasons: (1) Massachusetts seaport towns connected to whaling; (2) the name had WHA in it (WHAlers). Name later changed to Hartford Whalers. Los Angeles Kings - Original owner, the late Jack Kent Cooke, named the team himself. The original colors were a memorable purple and gold with a logo of royal crown. The team colors became black, silver and white the same year Wayne Gretzky joined the team (1988-89). On the day the trade was made, the Great One himself modeled the new uniform for the world to see. Montreal Canadiens - Representing the nationality of the players on the team. Originally, the team had only French Canadian players. New Jersey Devils - Comes from a legend: a witch allegedly gave birth to a demon known as "Jersey Devil" in 1735. The Jersey Devil was alleged to be a half-man, half-beast that stalked N.J.'s Pine Barrens or the area surrounding Lake Hopatcong for 250 years, causing fear and terror and basically mutilating his victims in an extreme display of guts and gore. Others say the Devil was the 13th child of Mother Leeds, jinxed by gypsies. New York Islanders - The name came from a suggestion made by original co-owner Roy Boe's wife. Instead of naming the team the Long Islanders, she suggested calling the team the New York Islanders in an effort to win over some unhappy New York Ranger fans. The team colors are orange, blue, white, silver, Atlantic green. This year, after a backlash over a logo depicting a fisherman that was adopted two seasons ago, the team went back to its original logo with the "Y" in NY in the shape of a hockey stick going through Long Island. New York Rangers - MSG President Tex Rickard's team unofficially known as Tex's Rangers (a play on Texas Rangers police), but Rangers was the official name. Ottawa Senators - In honor of old Ottawa Senators hockey team that won 6 Stanley Cups. Originally: as Canada's capital, the nickname for 1901 amateur team. Philadelphia Flyers - The name of the team came down to two choices, the Flyers or Quakers. Philadelphia's first G.M., Bud Poile, once ran a pro team in Edmonton called the Flyers. The Quakers, the city's first NHL team, had a brief existence in 1930-31 and was named after the heritage of the area's original settlers. Many felt that "Quakers" represented losing, which the original team did quite often, holding the second worst record in NHL history (4-36-4). Thus the Flyers were born. Phoenix Coyotes - Until 1996 this team was known as the Winnipeg Jets. After moving to Phoenix for the 1996-1997 season, the team name changed to reflect an animal well known in the southwest region of the U.S. The logo depicts a Kachina style coyote standing upright with a hockey stick. The head of the coyote features a mask drawn in the Southwestern style. The team colors are of a Southwestern flavor, and include forest green, brick red, sand, sienna, and purple. Pittsburgh Penguins - The management held a contest and chose Penguins, partly because the team is in PENnsylvania. Quebec Nordiques - Committee named them Nordiques (then in the WHA) because they were the northernmost team in pro hockey at 52 degrees North, 72 degrees West. St. Louis Blues - Then owner Sid Salamon, Jr., drew inspiration from the famous song by W.C. Handy. San Jose Sharks - Out of 5,000 entries, officials picked Sharks. 7 varieties in Pacific Ocean, several shark research facilities in area. One part of Bay Area is known as Red Triangle due to its shark population. Tampa Bay Lightning - Tampa Bay is the lightning capital of the world. Toronto Maple Leafs - Two possible reasons: (1) Then owner Conn Smythe drew inspiration from an old Toronto team called the East Maple Leaves; (2) when Conn Smythe bought the Toronto St. Patricks, his first act was to rename the team after the Maple Leaf Regiment of the First World War, as well as for the maple leaf on the Canadian flag. Originally, the team was known as the Arenas, then renamed St. Patricks, supposedly to attract the Irish. Vancouver Canucks - The nickname was taken from a Canadian folk hero. The legend says that Johnny Canuck was a great logger, and was a skater and a hockey player in his spare time. Washington Capitals - Washington, D.C. is the Capital of the U.S.
Winnipeg Jets - Then owner Ben Hatskin asked his pal Sonny Werblin, then owner of the National Football League's New York Jets, for permission. 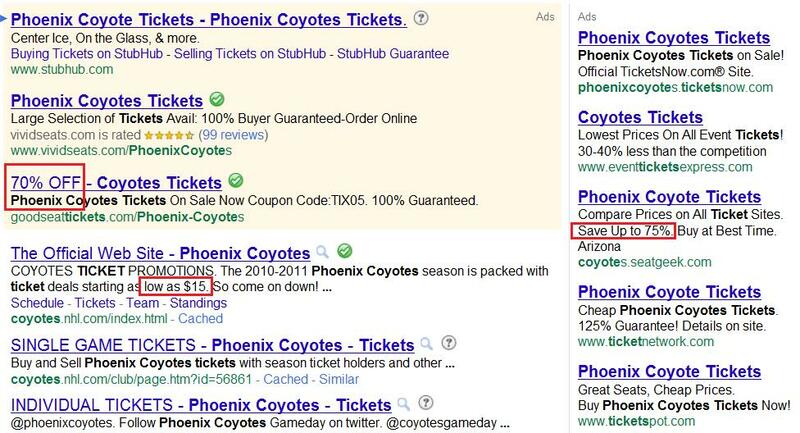 The latest on what the city of Glendale is (erroneously) doing to keep the Phoenix Coyotes at Jobing.com Arena. This is (really) all that anyone should need to hear to make an investment decision. I am sure that the NHL is still going to drag things out and try to make this happen, some how...but wow, talk about a terrible sales pitch. ...Better late than never with this post! This is an attempt at smoke and mirrors without the smoke and mirrors part.